Bradley Ernest Whitford was born on the 23rd February 1952, in Winchester, Massachusetts USA, and is a musician and guitarist best known for being a member of the Hall of Fame and Grammy Award-winning rock band Aerosmith since 1971. 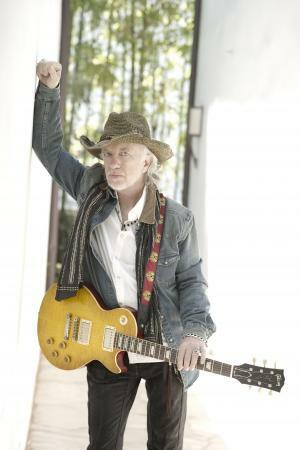 Whitford also works as a composer of the band’s songs, and has composed more than 15 to date. His career started in 1970. Have you ever wondered how rich Brad Whitford is, as of early 2017? According to authoritative sources, it has been estimated that Whitford’s net worth is as high as $40 million, earned through his successful career in music. Brad Whitford grew up in Massachusetts where he went to the Reading Memorial High School, matriculating in 1970. He studied at the Berklee College of Music, and in the meantime played in several local bands such as Teapot Dome, Cymbals of Resistance, Earth, and Justin Thyme. In 1971, Whitford joined Aerosmith, following Ray Tabano’s departure, and two years later the band released a self-titled album which achieved double-platinum status and peaked at No. 21 on the Billboard 200 chart; only one song made it to the Billboard Top 100, and that was “Dream On”. In 1974, Aerosmith recorded their second studio album entitled “Get Your Wings”, which achieved triple-platinum status and reached No. 74 on Billboard 200, but no singles entered the pop charts. However, their next album, “Toys in the Attic” (1975) was the band’s most successful with over eight million records sold in the US alone, and its commercial success helped Whitford to increase his net worth significantly. It peaked at No. 11 on the Billboard 200, while the songs “Sweet Emotion” and “Walk This Way” made it to the Billboard Hot 100 chart. In 1976, Aerosmith released “Rocks” which sold over four million copies in the US and reached the No. 3 position on the US Billboard 200, with singles “Last Child”, “Back in the Saddle”, and “Home Tonight” being popular. By the end of the ‘70s, Brad Whitford and Aerosmith had recorded two more albums: “Draw the Line” (1977) and “Night in the Ruts” (1979), both of which reached platinum status and made it into the top 20 on the Billboard 200 chart. Brad briefly left the band in 1981 and didn’t participate on its album entitled “Rock in a Hard Place” (1982), but returned along with Joe Perry for “Done with Mirrors” in 1984. The release failed to achieve notable commercial success, while it was placed at No. 36 on the Billboard 200. Aerosmith bounced back with “Permanent Vacation” in 1987, which recorded over five million sales in the US and peaked at No. 11 on the Billboard 200; the songs “Angel” (topped the list) and “Dude (Looks Like a Lady)” made it to the top five on the Mainstream Rock Tracks. The band released one more album by the end of the ‘80s, “Pump” (1989), and it achieved 7x platinum status, while the singles “Love in an Elevator” and “What It Takes” topped the Mainstream Rock Tracks. The song “Janie’s Got a Gun” received a Grammy Award for the Best Rock Performance By A Duo Or Group With Vocal. Aerosmith launched a pair of albums in the ‘90s: “Get a Grip” (1993) and “Nine Lives” (1997), both of which achieved platinum status, with “Get a Grip” recording over 20 million sales worldwide, making it the band’s most successful album in that regard. The songs “Livin’ on the Edge”, “Crazy”, and “Pink” received Grammy Awards. Their three latest studio albums were “Just Push Play” (2001), “Honkin’ on Bobo” (2004), and most recently, “Music from Another Dimension!” (2012). Regarding his personal life, Brad Whitford has married three times, firstly to Lori Phillips (1976-78) and then to Karen Lesser (1980-2004). He has been married to Kimberley since 2006. It is known that he is an avid race car driver in his spare time. 1 Shares a birthday with Queensrÿche guitarist Michael Wilton. 2 Was not an original member of Aerosmith, but joined the band in 1971 to replace original rhythm guitarist Raymond Tabano. 3 Tired of the band's inactivity, left Aerosmith in 1981, and formed "Whitford/St. Holmes" with Ted Nugent guitarist Derek St. Holmes, releasing one album that was a commercial failure. Along with Joe Perry, re-joined Aerosmith in 1984. 4 Inducted into the Rock and Roll Hall of Fame in 2001 (as a member of Aerosmith). 5 Second guitarist for Aerosmith. Grown Ups 2010 writer: "Last Child"